If you love strategy games, then you probably heard about the awesome Total War strategy games series. Today we've got some good news. 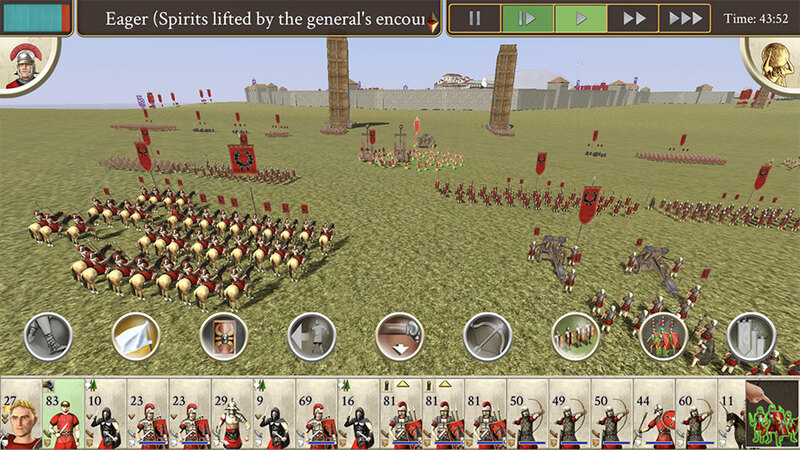 Rome: Total War has been confirmed to be hitting iPhone and iPod Touch next Thursday, August 23 , developer Feearl Interactive said today. Back in 2016, the game was released on iPad and it is composed of both turn-based strategy and real-time tactics. Not unlike its iPad counterpart, the iPhone version will utilize Apple’s low-overhead Metal graphics framework for lush graphics, fast performance and optimized power consumption. Rome: Total War seamlessly blends conquest and politics on a massive scale as it challenges players to build and rule the ancient world’s greatest empire over three hundred years, from the late Roman Republic to the early Roman Empire. Players will deploy strategy and tactics in spectacular real-time battles, and use diplomacy, subterfuge and assassination to smooth the path to ultimate victory in huge turn-based campaigns. The game will support the sixth-generation iPod touch and any iPhone model with iOS 11, from iPhone 5s onward. The iPhone release will be a universal download, arriving as an update to the existing $9.99 iPad game. In November 2017, celebrating the first anniversary of the iPad game, Feral released something called Rome: Total War Collection for iPad, that bundles the game itself with two popular content packs, “Barbarian Invasion” and “Alexander”. Are you interested in Rome Total War ? Are you going to play it ?